From a crime prevention perspective, food crime remains a challenge. Whilst opportunity for crime can be reduced by implementing situational measures and addressing the potential perpetrators, their possible actions and criminal behaviour, the trade-offs which occur in the food supply chain that motivate such activity still remains complex. 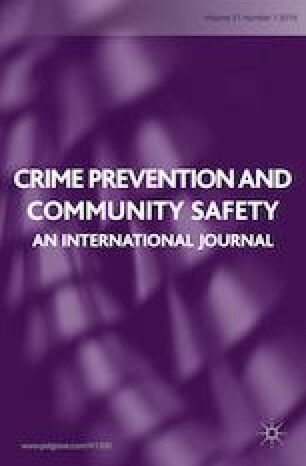 These heuristic factors have led, in this study, to the consideration of “pinch-points” where crime could occur as a result of capability, opportunity, motivation, rationalisation and supply chain pressure. Pinch-points can be addressed using the Food Crime Countermeasures Framework conceptualised in this paper. We argue that conventional anti-fraud measures—detection, deterrence and prevention—are essential to support food fraud risk assessments, as are continuous interventions and response strategies. The implementation of countermeasures that initially drive prevention and deterrence and where required, detection, intervention and response form the basis of our approach. Whilst this paper focuses on the UK, however, it should recognise that food crime is a global issue. Beil, D. 2009. Supplier selection. Available at: http://www-personal.umich.edu/~dbeil/Supplier_Selection_Beil-EORMS.pdf. Accessed 2 Jan 2018. Chon, K.H.S. 2016. Cybercrime precursors: Towards a model of offender resources. Available at: https://openresearch-repository.anu.edu.au/handle/1885/107344. Accessed 2 Jan 2018. Closs, D.J. and E.F. McGarrell. 2004. Enhancing security throughout the supply chain. Washington, DC: IBM Center for the Business of Government. Available at: https://www-03.ibm.com/procurement/proweb.nsf/objectdocswebview/filesupply+chain+security+white+paper+and+assessment+guide+april+2004/$file/supply+chain+security+white+paper+and+assessment+guide+april+2004.pdf. Accessed on 2 Jan 2018. CPNI Centre for the Protection of National Infrastructure. 2013. CPNI insider data collection study: Report of main findings. Available at: http://www.cpni.gov.uk/Documents/Publications/2013/2013003-insider_data_collection_study.pdf. Accessed 2 Jan 2018. Jack. L. 2015. Food fraud awareness and detection in your business. NSF Food Crime Conference. Available at: http://www.nsf-food-conf.eu/assets/6_food_fraud_awareness_and_detection_ljack.pdf. Accessed 2 Jan 2018. NFU Mutual. 2017. Rural crime now. Rural crime report 2017. Available at: https://www.nfuonline.com/nfu-online/news/nfu-mutual-rural-crime-report-2017/. Accessed on 21 May 2018. NSF. 2014. Final report risk modelling of food fraud motivation—NSF Fraud Protection Model intelligent risk model scoping project. Available at: https://www.food.gov.uk/sites/default/files/NSF%20Final%20report.pdf. Accessed 2 Jan 2018. RASFF. Portal. 2018. The rapid alert system for food and feed. Available at: https://ec.europa.eu/food/sites/food/files/safety/docs/rasff. Accessed 2 Jan 2018. RASFF. 2018. The rapid alert system for food and feed. In Conclusions from the Ministerial Conference on the follow up of the fipronil incident. Brussels, 26 September 2017 Available at: https://ec.europa.eu/food/sites/food/files/safety/docs/rasff_fipronil-incident_conclusions_201709.pdf. Accessed 2 Jan 2018.